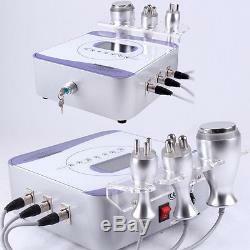 WL-515S [common] - 40K Cavitation Ultrasonic Tripolar Radio Frequency RF Body Face Photon Slimming. 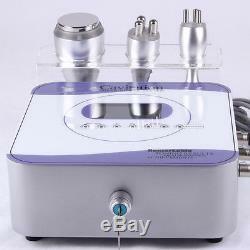 40K Cavitation Ultrasonic Tripolar Radio Frequency RF Body Face Photon Slimming operation Skin Lifting. 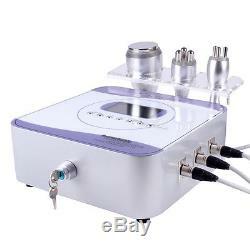 40K Cavitation Ultrasonic Tripolar Radio Frequency RF Body Face Photon Slimming. 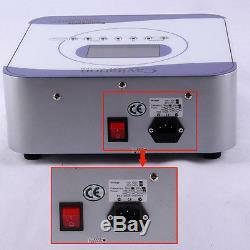 40KCavitation Ultrasonic Tripolar Radio Frequency RF Body Face Photon Slimming Operatin Skin Lifting. 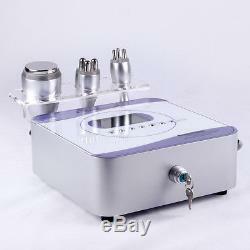 40K Cavitation Ultrasonic Body Shape. Big Tripolar RF for Body Slimming. Small Tripolar RF for Facial Care. Cellulite is one of medicinal social problems in the developed countries. In china, there exist about 0.5 billion persons potential on body slimming. Who consumed on it 6 to 10 billion Chinese yuan. One third people in Beijing, Shanghai, Guangzhou died of the heart and blood vessel, which is much more than natural aged death. Basis on it, all kinds of slimming ways in the market, slimming brands quickly popular. But many unscientific, immature thoughts and technical make most of peoples weight reduction, then turn fat, again and again, as well as unreasonable equipment make peoples bodies serious damage. This machine can effectively break the fatness, uses focus strong ultrasonic head to release 40, 000 Hz ultrasonic, speedy vibrate fattiness cells, produce countless vacuum air pocket in and out cells, through human body normal consuming, then exhaust out of the body. Mightily impacts the fatty cells, makes the cell membrane produce the inner cracking, so as to dissolve the triglyceride to be the glycirin and free fatty acid. 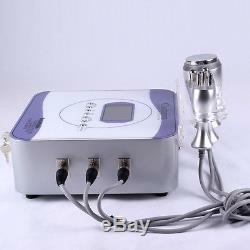 Then takes the power of RF wave with 0.5 MHz, to do deep-seated skin Diathermy, supply the skin oxygen and organic nutrition, strengthen cells function, advance the blood and lymph circulation, activate metabolism, remove and soften the cellulite, so get the body slimming and beauty effects. Ultrasonic Equipment, through high energy deep-level transport, takes 1100 nm -1500 nm high ultrasonic head to shoot out violent energy, produces itch cavitation in cellulite cells, forms countless tiny vacuum oxygen bubbles, by means of the power to make FAT cells membrane, act on the cellulite, breaks them, then exhaust out of the body by lymphatic system. Photon operation Wavelenght: Red Light (650 - 730 nm) Stimulate the production of collagen. Collagen is the essential protein used to repair damaged tissue and to replace old tissue. Best for fine lines, reduce pore size, swollen after surgery. 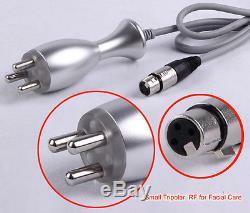 Both 110v and 220v voltage (frequency: 50/60Hz) version are available. 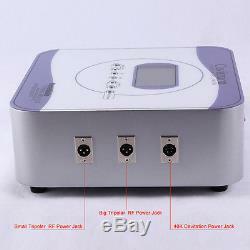 Power:110W 40K cavitation head: Power supply output:150V Intensity:0-50w/cm2 Frequency:40KHz Power:25W Big Tripolar RF head for body : Power supply output:66V Intensity: 0-25w/ cm2 Freqeuncy:1MHz Power: 35W Small Tripolar RF head for face Power supply output:35V Intensity:0-15w/cm2 Freqeuncy:1MHz Power: 15W Photon Wavelenght: Red Light (650 - 730 nm) Stimulate the production of collagen. Mightily cracking the cellulite, remove the fatness. It uses the strong ultrasonic head to shoot 40,000Hz ultrasonic, after entering the body, will make the fatty cells produce mighty cracking effect and fatty cells friction, effectively exhaust the heat energy, exhaust cells water, Moreover, when the ultrasonic vibrates, there will bring mighty impaction among cells, fatty cells will be less, so get effect of fatness removal. Dissolve the fatness, do lymph drainage, skin tightening, enhance skin elasticity. It takes the most advanced RF technique and energy, directly penetrate into deep-seated cellulite. With targeted oriented RF output, it makes the fatty cells in quick active state, produces heat friction, higher the partial temperature. Through the sweat gland, liver sausage circulation and lymph, exhaust the redundant fatness and toxins out of the body, so get the effect of cellulite dissolving. Under powers, the exploded fatness was taken by the lymph, then disorganized by the ferment which is decomposed by the fatness, change to be dissociative fatty acid, exhausted in normal activity, then out of the body. Appliable range: Full body shaping, eliminate cellilute tissue, dissolve fatness, weight lose, skin lifting, wrinkle removal , skin tightening, enhance skin elasticity. Adopt the special focus strong ultrasonic technique in the world, can pertinently aim at the fatness and produce explosion, during the course, no any damage to the blood vessels, nerves and tissues. Suitable for all kinds of skin. Comfortable, painless, during the operation, safety 4. Non-anesthetic, no need operation, will not produce accident surface 6. No ruggedness, no blue tumid 7. No any side effects, good effects, no rebounding phenomenon. No down-time, will not influence the normal working and living. Smart desktop , easy to carry and operation 11 Enough length of wire for each head, very convenient for operation by beautician. 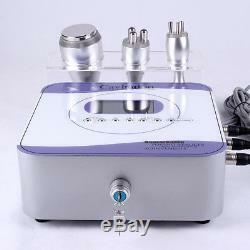 The item "3in1 40KHz Ultrasonic Cavitation RF Radio Frequency Fat Burning Slim Machine" is in sale since Monday, September 2, 2013. This item is in the category "Business & Industrial\Healthcare, Lab & Dental\Other Healthcare, Lab & Dental". The seller is "4beautyuse" and is located in HongKong. This item can be shipped worldwide.